If you’re looking for a deluxe SUV with the power you need and the luxury you want, you might be thinking of getting a 2016 Land Rover Range Rover Sport. 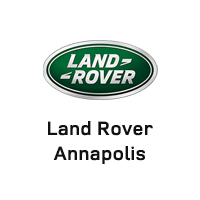 Learn about the advanced technology used in this rugged vehicle with Land Rover Annapolis today. The 2016 Land Rover Range Rover Sport offers a new suite of features for connectivity and entertainment, bringing you the news and information you need while keeping you engaged and in touch. The new touchscreen is 10.2 inches, with a clearer screen than before. It includes new pinch and swipe functions, letting you use the same easy gestures on your in-vehicle touchscreen that you do on your favorite mobile smartphone. The InControl Touch Pro system is your one-stop spot for in-vehicle navigation and multimedia. Use the in-vehicle navigation system to receive real-time GPS information, safely guiding you through the streets of Washington DC while providing you with real-time traffic information to help you get the most efficient route possible. Listen to your favorite music, radio, or streaming Internet radio over the Meridian in-car audio system that provides crystal-clear sound in your car. The responsive and precise multi-touch display includes intelligent voice recognition so you can use natural commands to listen to music, place calls through your contact list, and more without taking your hands off the wheel or your eyes off the road. The 2016 Land Rover Range Rover Sport includes advanced new safety features to keep you alert and aware of your surroundings while helping you avoid the worst obstacles in your path. Lane departure warning uses a special camera to keep track of the lane lines around you, then alerts you via audio and visual warnings if you’re drifting from the center of the lane without signaling first, while lane-keeping assist sends steering torque to the steering wheel in order to keep you safely on track. Adaptive cruise control and emergency braking detect the distance of the car ahead of you, reducing speed or sending brake pressure to the brakes if you’re going too fast to avoid a collision. Blind spot assist uses a sonar camera to detect obstacles or other vehicles in your blind spot, and even corrects your steering to safety if you try to change lanes when there’s something in your blind spot. Rear park distance control helps you confidently back into even the smallest spaces without dinging or denting another car. Finally, you’ll even get an Intelligent Speed Limiter, which is able to read signs around Arnold that announce the speed limit and restrict your vehicle from going over that limit. The 2016 Land Rover Range Rover Sport is packed with features that keep your performance strong and on track. The Terrain Response system with new Dynamic Mode adapts the acceleration, power, throttle, and more to safely cover any terrain around AREA. The Four Corner Electronic Air Suspension system ensures comfort and a smooth ride, with an air suspension system that adjusts ride height when needed. Torque Vectoring uses the brake system and electronic differential to balance torque and improve grip. Are you ready to conquer the road around Baltimore in your new 2016 Land Rover Range Rover Sport? Land Rover Annapolis can make it happen! Call us today at (410) 907-8300 or come see us at 101 Ferguson Rd, Annapolis.